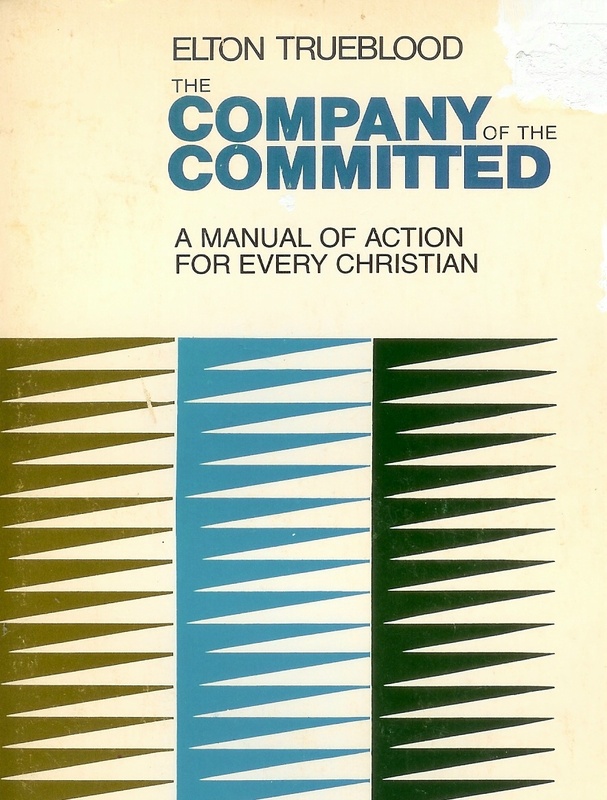 This is an amazing book published in 1961 that predicted what has happen to the church. Trueblood calls for things that many Christians and churches today are just waking up to. Summary: The Church is a company of soldiers, metaphorically speaking, who live with Jesus and go forward on his mission in the world. The Church is loving communities established not for themselves, but in order to help and bless everyone else. Preaching may not in some instances be helpful to those who listen, but it is almost always helpful to those who speak. “I just let my life speak.” What one of among us is so good that he can let his life speak and leave it at that? Sometimes the best witness if that of the church as a whole. The vital idea is that the pastor is the helper of the ordinary lay members in the performance of their daily ministry in the midst of secular life. 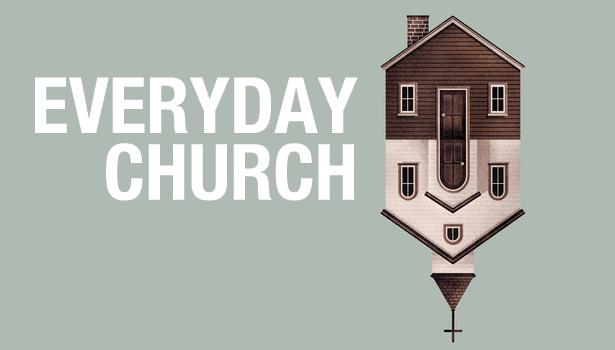 The concept of a churchgoer is inept. Christians may indeed come in but they do so only that they may go out. In many churches the entire church operation points to a climax on Sunday morning. Great discipline in regard to style as well as content must be learned if we really seek to reach contemporary minds. We ask what Presbyterians believe but we seldom ask how Presbyterians love. In all periods of great vitality the church has been deeply concerned for the welfare of those who are not adherents at all. If God, as we believe, is truly revealed in the life of Christ the most important thing to Him is the creation of centers of loving fellowship which in turn infect the world. Complaints: ?? None really. I love this book. Also, this book is available for FREE online! Christmas was great. We watched the kids dress up like sheep and tell us about the baby Jesus. We opened presents and drove a long way. Things aren’t perfect but they are pretty good. Time for a New Years party! What comes after the baby Jesus? The answer is John the Baptist. He lives in the wilderness. He eats bugs. He wears clothes that rub his skin raw and he breaks into beehives with his bare hands. His hair is all matted and he has a crazed look in his eyes. Run! The Baptist is coming to wreck your party. Here is the deal. 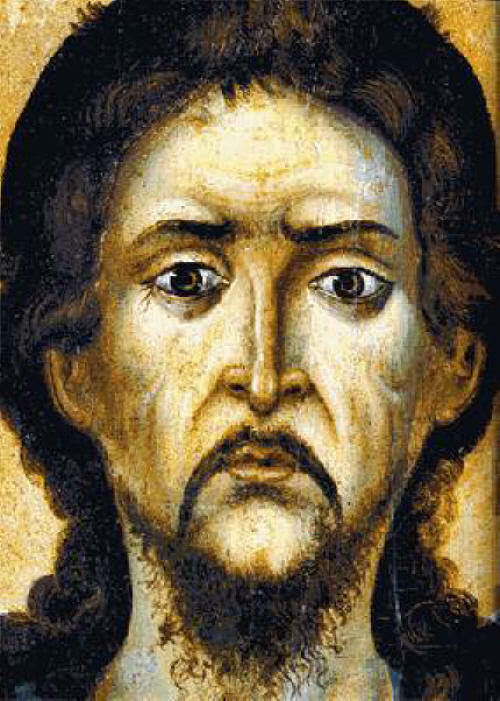 John the Baptist lived a life that should scare us sober. He was Jesus’ cousin. An angel told his parents that he should follow certain rules for his entire life, the rules of a Nazirite. You can find these in Numbers chapter 6. He couldn’t eat or drink anything made from grapes. But people drank wine at every meal and ate a lot of raisins. No parties for John. He could never be near a dead body. If his mom died he couldn’t go to the funeral. And he could NEVER cut his hair. Just like Samson. Samson had long braids. In John’s case think dreadlocks. At about 13 he left home and lived in the wilderness. Hot, desert-ish scrubland. He was alone there for 15 years! What did he do? He prayed, listened and looked for God. Around the age of 30 he began yelling a message from God. Word spread and thousands of people went to hear him. He yelled at them and then he baptized them. Jesus came. John screamed something about this guy being a lamb and saving the world. About four people paid attention. After that he called the king a godless sinner. They arrested him and chopped off his head. What kind of life is this? No friends. No family. Virtually no childhood. No job, no parties, basically no food, no stuff, no nothing. An entire life devoted to just one word: REPENT. And what does that mean? It means recognize that something is wrong. The world is not just okay. Your life is not just okay. We are so used to the things being wrong that we put on a smile and ignore them. The people John spoke to lived in a world filled with evil, corruption and oppression. But that is how its always been right? Can’t do anything about that. Just do your best and enjoy what you can. John said NO. It’s the same for us. We are blind to the things we do wrong. We shake our heads at the news every day, but do nothing. And just think of all those family issues you ignored last week. John says NO. The baby Jesus came to bring peace. But no one can receive Jesus unless they accept what the Baptist has to say. Most modern translations of the New Testament are excellent. There are however a few places where you are completely surprised if you read the text in the original Greek. Several of those places have to do with the Christmas story. The verses that tell this story are so well known that many translations have chosen to keep old words that most people don’t understand, even if they think they do. The worst offender of all is the first half of Luke chapter two, the story of the Shepherds and the Angels. A “heavenly host” appears and they say something that looks like a poem or song lyrics. Notice it doesn’t actually say they sing. Christmas cards, songs, movies and virtually everyone imagines in this verse a magnificent heavenly choir, arrayed in their glowing robes and singing four part harmony while floating in the sky. That is ABSOLUTELY NOT what Luke is describing. The first clue is the reaction of the shepherds to the angel that appears in verse nine. The NIV says ‘they were terrified’. The old King James calls them ‘sore afraid’. The Greek literally says, ‘they were terrified with a great terror’. They aren’t just surprised. They are scared out of their minds. This is always the reaction when people in the Bible see an angel. Maybe they aren’t so friendly looking? What exactly is a ‘host’? Many people would say a host is a large number of people, or angels. But in that case Luke would be repeating himself when he says there was a ‘great company’ of the heavenly host. In fact, the word host has a very specific meaning. The Greek word translated host is the word stratia. It is where we get our word strategy. It has only one basic meaning in New Testament Greek. It means AN ARMY. Not a choir. It means soldiers in full battle gear formed up for war. Why is the war over? Because a baby is born. The army marches behind its most powerful weapon, its First Soldier, the death blow to Satan and the enemies of God, the baby of Bethlehem. Environmental issues have been at the forefront of cultural change in North America for a long time and will continue to be in the foreseeable future. Evangelical churches have missed a great opportunity to be part of this change and help direct its course. This failure has been a significant driver in the decline of organized religion over the past 50 years. While environmental issues are not the primary focus of Scripture they are present in Scripture and occupy a place of prominence they do not have in evangelical churches today. In the Old Testament it is clear that Israel was a leader in taking care of the earth, not a reluctant follower. The foundational stories of the Old Testament indicate that the entire creation was good, that human beings were to take care of the creation as their primary work and that problems with the creation are the result of human sin. The jubilee regulations in Leviticus require radical practices of Israel designed to refresh the whole created order, human, animal and earth. On the basis of these and other passages in Scripture the church should have always been working against environmental exploitation as part of its mandate. However, when the Church failed to lead in this way the cause of environmental care was taken up by groups without a Biblical foundation and whose ethos is secular or even pagan in some cases. Environmental concern became associated with anti-Christian sentiment and so has been opposed or ignored by most Evangelicals. There exists now in the culture of our churches a prejudice against and resistance to most things environmental. While there are some Evangelicals engaged in caring for creation, there is a great need today for the majority to turn in this direction. Not only is it important that we take care of what God has created, but our prejudice and apathy about environmentalism has created a cultural barrier to the Gospel. Many younger people raised outside the church write it off as irrelevant because of its failure to lead in this area. Many young people raised in the church are embarrassed by the anti-environmental prejudice of their parents and grandparents. The leadership challenge today is how to move the body of Christ toward Biblical stewardship of creation. We must avoid simply following the lead of secular environmentalists and must speak revealed truth into the debate. We must move fast enough that change is perceptible to the younger generations and at the same time avoid radical moves that would alienate older Evangelicals and cause disunity.